U.S. PC-maker Dell has refreshed its XPS 13-series laptops in India with faster processors and sharper displays in a lighter and thinner form-factor. The devices were announced last August and are now powered by Intel’s 8th-generation Core processors. All of them run Windows 10 Pro or Windows 10 Home out-of-the-box. Prices start at a hefty Rs. 84,590 for the base version and goes up to a whopping Rs. 1,48,990 for the top-end model. The main design feature of the lineup is the borderless InfinityEdge display that comes with touch support in the higher-end models. The entire lineup is made out of machined aluminum and carbon fiber, and the touch-screen models come with Corning Gorilla Glass NBT. The devices are already available for purchase on Dell’s official Indian webstore, and will also be available at Dell Exclusive Stores, Croma and Reliance Digital and going forward. The colors on offer include silver and rose gold. 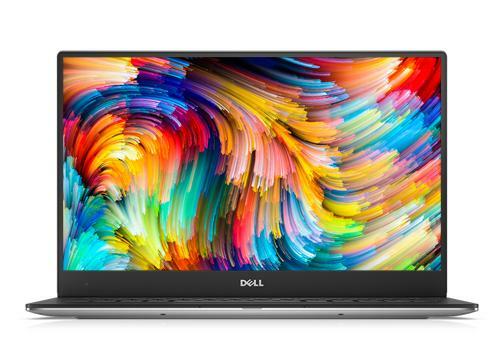 Note: The entry-level model was not yet listed on the Dell web-store at press time, but the company has officially confirmed its existence, so it will very likely go on sale at some stage in the future. Dell is sweetening the deal by offering a 12-month subscription to McAfee LivSafe with its latest laptops. If you choose to buy from the official Dell webstore, you can also take advantage of an exchange offer that will reduce the asking price by up to Rs. 18,000 upon exchange. There’s also a flat cashback of Rs. 1,000 if you pay via PayTM. You can also pay for your XPS 13 in 6/9/12 months interest-free EMIs on select credit cards. EMIs start at Rs.7,666.00 per month.